Phe.MOM.enon: Coconut Loaf Cake with Thick Lime Glaze and a Giveaway! 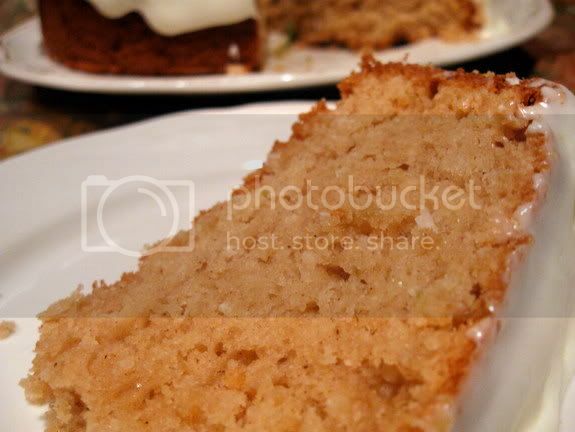 Coconut Loaf Cake with Thick Lime Glaze and a Giveaway! I have been reading the recipes in Tyler Florence's Real Kitchen cookbook for the past week and immediately bookmarked one for Coconut Bread. It intrigued me since I hadn't had or seen anything like that before. I decided I wanted to change things up a bit anyway though and make it into a cake. I used a 9-inch springform which worked beautifully. It makes a beautiful kind of a brunch cake or something you could have as an afternoon snack. The original recipe uses lemon, but I decided to go with lime. It also used coconut milk as well as toasted coconut. I was thinking of topping it with a white chocolate glaze of some kind, but since I was undecided, went ahead and twittered all my foodie friends to see what they thought. While the white chocolate glaze sounded good though, @MormonFoodie, suggested a glaze made with powdered sugar, lime and coconut milk. That sounded really good, but unfortunately I was all out of coconut milk at that point since I used it all in the cake. I decided to go with a simple glaze out of lime juice, powdered sugar and heavy cream. I wanted something very thick and smooth, and I got exactly that. Even with the use of the coconut milk and toasted coconut, this cake / bread doesn't have an overwhelming coconut flavor. It just has all the very best characteristics of the flavor and texture. My son, who is a coconut hater, loved it. Of course, I didn't tell him what it was until after he ate a piece though! Since the recipe came from Mr. Florence, I thought it would be a good way to announce a little giveaway that my friends over at M80 are helping me giveaway a $20 Macy's gift card to one of my lucky readers. recipes. Check out what gets Tyler cooking and try out some of his tasty meals! to win a kitchen shopping spree with Tyler in San Francisco!" The contest goes through April 3rd, so if you are interested, check it out here! You can even find out more about it from M80 here! All you have to do to win that Macy's card is to leave me a comment here and tell me what keep's you cooking? I'll run the contest till this Thursday, March 26th at midnight (MST) then use Random.org to pull a number from the comments. Grease the bottom and sides of a 9-inch springform pan with butter. In a large bowl, mix the flour with the baking powder, salt, and cinnamon. In another large bowl, whisk together the melted butter with the brown sugar, eggs, vanilla, and lime zest. Pour in the coconut milk and whisk together. Pour the wet ingredients into the dry ingredients and fold everything together with a spatula until you have a smooth batter. Gently fold in the shredded coconut until evenly distributed. Pour into the prepared pan and set it on a cookie sheet. Bake for 55 minutes to 1 hour or until a wooden toothpick comes out clean when inserted into the center of the bread. Rotate the pan periodically to ensure even browning. Cool the bread in the pan for 20 minutes or so; then when cool enough to handle, remove the coconut bread to a cutting board and let it cool completely before glazing to keep the glaze nice and thick. Whisk ingredients together thoroughly in a large bowl til thick and smooth. Pour over the cake and use a rubber spatula to gently spread the glaze to the sides so that the weight just takes it down the sides of the cake. Add extra lime juice or cream, depending on the taste and thickness you want. The ratios above just have a light lime flavor. This looks amazing Holly. I adore coconut. I wish Jaos did. Hes a coconut hater. I wonder if I can trick him? What keeps me cooking.. a budget keeps me cooking. :) And TWD keeps me baking..
LOTS of things keep me cooking, and the quest for the perfect chocolate chip cookie is one of them! Love your blog! 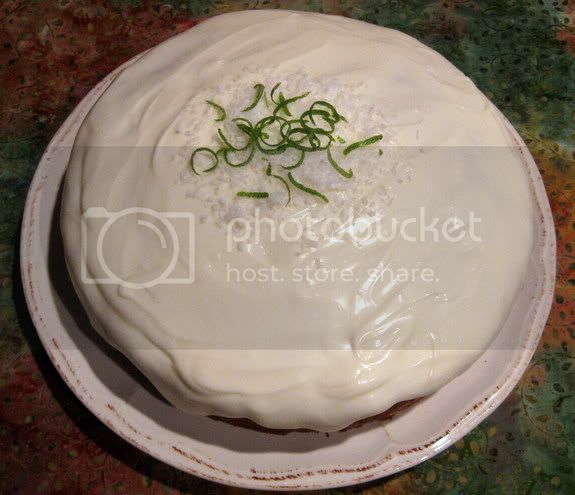 oh gosh.. the lime glaze looks deadly to the waistline. But coconut cake... wow! what keeps me cooking. just the smiles on peoples faces... and of course the need to fill my empty stomach. haha. What keeps me cooking? I love to cook and I love to eat. Pretty simple! I love sharing family food with my son and husband as well as the joint effort of making it with them. What a great cake! Hate to be unoriginal, but my family keeps me cooking, too! You know what keeps me cookin? It's the one thing that helps me think. I love to cook and think about the world while cooking/baking! What keeps me cooking? Love. Cravings definitely keep me cooking! Haa! Seriously, Holly, this cake is pretty funny, since I was just about to post about a lemon coconut loaf I made last week. We must be thinking the same or something, though I'm pretty sure yours will taste infinitely better!! love lime and creamy coconut! Love Love Love to eat. The reason I keep cooking. Love your blog! Love coconut anything - will have to try this. What keeps me cooking - making people close their eyes and go "hmmm (moan)that's good!" The need to eat and ability to completely customize my food is what keeps me cooking! Gorgeous cake!!! Looks incredibly delicious! What keeps me cooking and baking other than the fact that I love it is knowing that I am providing good and flavorful food for my hubby and my little guy. Seeing them enjoy what I make motivates me to keep going. Hmmm, what keeps me cooking? Hunger, looking at yummy things like this cake and wanting some, oh and I suppose I like feeding my family and sharing with others! What keeps me cooking? I want to be the best wife and mother that I can be. Part of that is by feeding your family yummy food! Wow! That cake looks delicious and the glaze on top is amazing. I love Tyler, too, and his recipes always turn out great. I think that's what keeps me cooking- trying something new and learning more all the time! I think finding new recipes that I want to try keeps me cooking. I would much rather bake than cook, but I force myself to cook for my family. 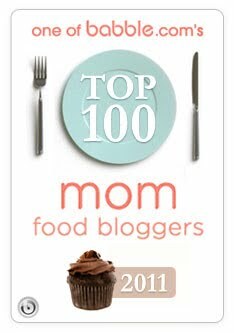 ;) I'm loving the blogging world where I have so many awesome recipes at my fingertips! That looks so delicious! I love to cook-it is rewarding knowing I can provide healthy & most of the time yummy food for my family. Home cooked meals are cheaper and a lot better tasting as well as better for you nutritionally than most convenience/restaurant foods. That's what keeps me cooking. Not to mention that I've been cooking since I was 7, why stop now? That cake looks so good! Love coconut! I keep cooking because I don't like to eat out, it is pricey and usually the food isn't that great. I always think, I could make this better:) I do enjoy going out from time to time, we have our favorite spots, but we enjoy cooking together at home most of the time! Recipes that are new to me but tried and true to others keeps me cooking. I love getting recipes that others have tried and putting my own twist on the. BTW- the honey lime chicken enchiladas are my families new favorite-- we've made them 3 times since you were on GTU! I cook because my husband loves baked goods! I can't stand coconut, but this looks really tempting. My daughter would just love it. Cooking is a way to get us all together. I love to bake! I love to see how a few ingredients can make something so tasty. Plus it make my kitchen smell soooo good! What keeps me cooking is my desire to please my husband and expanding my skills and knowledge. That lime glaze looks heavenly! What keeps me cooking is all of the new and inspiring recipes I see everyday! The need to squelch the question of what's for dinner. This looks so yummy. I keep cooking just to try new things and eat yummy food! 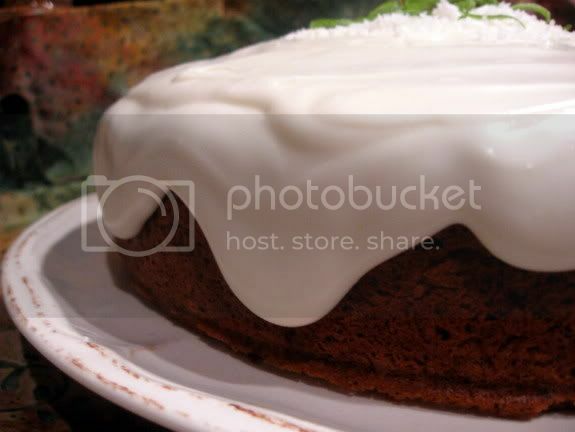 Oh that looks divine..who can go wrong with lime and coconut. I keep cooking so I can try new things and keep life exciting. I love, LOVE, LOVE cooking! I am so excited everyday to check all of my favorite foodie bogs for more recipes! I just can't get enough! I love reading your write-ups and looking at the photos of your newest accomplishment! Thanks! It reminds me of my grandma. I sure miss her and her cooking. Also, I love to enjoy the time in the kitchen with my husband. And I love to try new things. Cooking really relaxes me. I especially love baking and finding new recipes. I found your blog through google and I am so glad I did. You seem to have the same taste in food I have! What keeps me cooking? My love for it and my daughter and husband who are huge supporters and eat and enjoy what I make...without them I don't think cooking would be as fun. 2. cooking/baking blogs that not only tell me step by step directions, but offer me pictures AND a VERDICT! My love for food and for my husband keeps me cooking...I love to cook and bake and he loves to eat!!! Looks soo good!!!! SO many things keep me cooking. I love good food and I know it makes people happy. :D My boyfriend loves eat so I love to cook!! Choose me! I need money for more supplies! My fellow bloggers keep me baking and curiosity keeps me cooking. Always looking for something new, something better, something EASY. Like your sloppy joes. I cook because I exist. Cooking, and baking and creating food, are as important to me as air. Cooking is my escape, my outlet, and my joy. That is what keeps cooking! 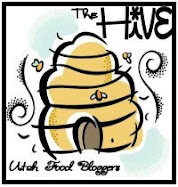 I just found out about your blog from Utah loves cupcakes and I'm glad I did. I think I might need to cook everything on your blog. Sorry, I didn't tell you what keeps me cooking. I live by myself so I really don't do a lot of cooking. Just quick dinners. Every once in awhile, I'll cook a full spread just for me. But for family dinners, I'm always the one that brings desert.